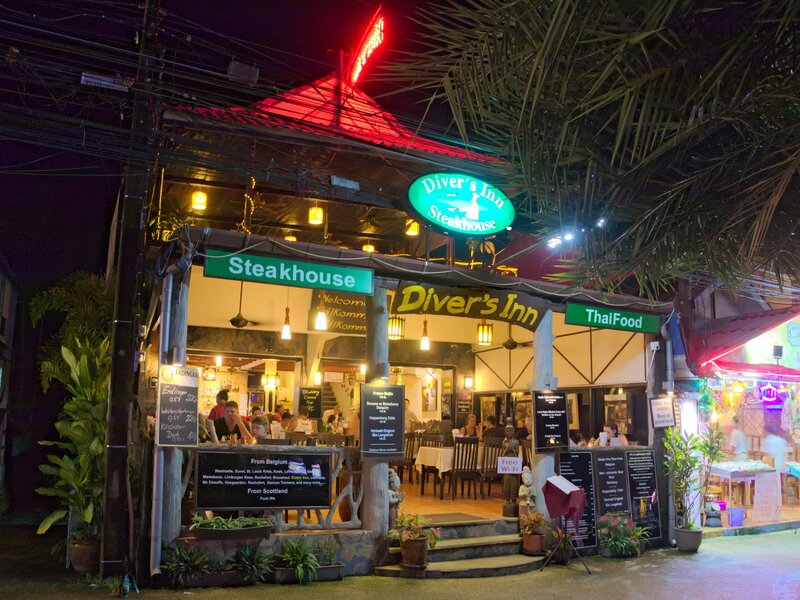 Diver’s Inn Steakhouse opened its doors as the first German Restaurant in Ao Nang, Krabi in August 2000. Just a small place with 10 tables and 4 staff, the restaurant earned a reputation for quality Steaks, Thai and German Food at reasonable prices. Within 3 years we extended the restaurant to 22 tables while 9 staff cooking food and serving an increasing number of customers. The expiration of our rental contract in May 2006 forced us to move into a new building just a few steps away from McDonalds, directly opposite the Siam Commercial Bank / Ao Nang President Hotel. We serve juicy Steaks as well as delicious Thai and European food to our customers taste, using only the finest and freshest ingredients that our restaurant has to offer. 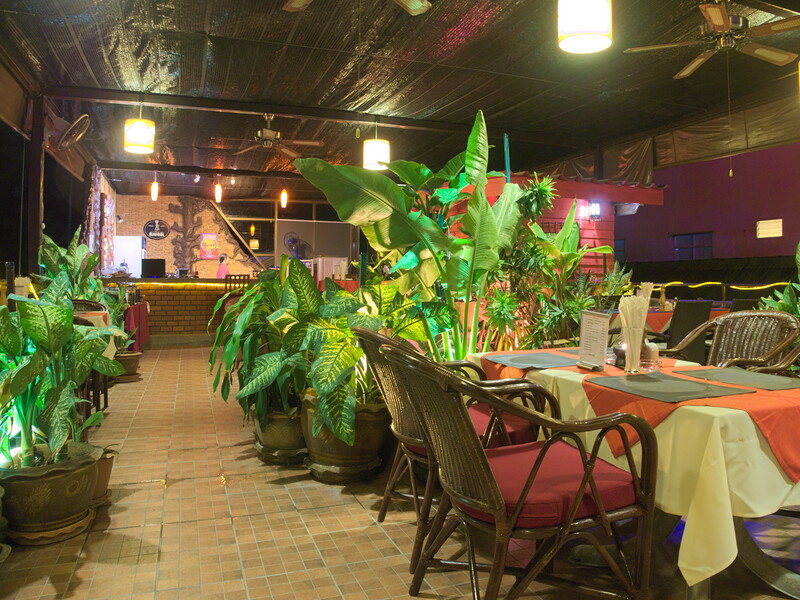 Our customers will as well find a choice of different Thai dishes and Seafood cooked to their personal taste. If you like meat prepared European style you have a choice of imported chilled Australian Angus Steaks (Tenderloin, Sirloin and Rib Eye), Duck, Pork and Chicken with an excellent selection of side dishes and delicious sauces. We also offer imported German Wheat Beer (Erdinger, even non-alcoholic and Weihenstephaner), Köstritzer German Schwarzbier (Dark Beer), Kopparberg Cider from Sweden, Hartwall Original Gin Longdrink from Finland and a wide selection of Belgium Beers, even gluten free beer is on offer. We have Gluten free desserts and we are able to prepare Gluten free and Lactose free sauces accompanying your food. All our Thai food can be prepared Gluten free as well.